Cadillac's big swing at a three-row crossover may have come too late. At the 2019 Detroit Auto Show, Cadillac finally revealed the XT6, a three-row crossover to sit below the Escalade in its lineup. Given the success of the Escalade, it's hard to believe it took Cadillac so long to introduce a second three-row vehicle into its lineup at a more affordable price point. 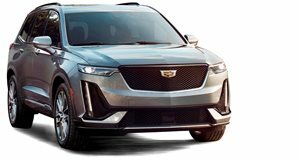 Although we didn't know exactly how much the XT6 would cost, Cadillac has now revealed the SUV's starting price of $53,690 (including destination charge) for the Premium Luxury front-wheel-drive model. 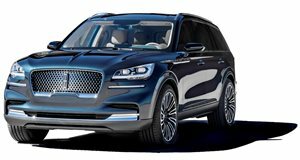 This sounds reasonable for a three-row luxury crossover but there is one big problem for the XT6 - the Lincoln Aviator costs $52,195. At around $1,500 less, a base model Aviator comes equipped with a suite of active safety systems, 4G LTE Wi-Fi, 10-inch touchscreen infotainment, tri-zone automatic climate control, heated seats, and keyless access. More importantly, the Aviator is powered by a 3.0-liter twin-turbo V6 with 400 horsepower going out to the rear wheels while all-wheel-drive is available for $2,500. The XT6, by contrast, is powered by a 3.6-liter V6 producing 310 hp going out to the front wheels. Opting for the XT6 Sport with standard Sport Control AWD brings the price to $58,090. As standard, both the Premium Luxury and Sport trims include safety features such as seven airbags, forward collision alert, automatic emergency braking, lane change alert, lane keep assist, rear cross traffic alert. Cadillac also includes wood finishes, 20-inch wheels, heated steering wheel, sunroof, seven seats with a power-folding third row, wireless charging, and 4G LTE wifi as standard equipment. If the Lincoln Aviator hadn't been released just a few months earlier at the 2018 LA Auto Show, we might have been more impressed with the XT6. As it sits, it looks like Lincoln easily has the upper hand in the three-row crossover battle. If you prefer the looks of the Caddy, the XT6 will go on sale this spring and order books are now open.